Viewed the source code of a Google Docs-generated HTML spreadsheet today. I was expecting to find a nice, simple table. 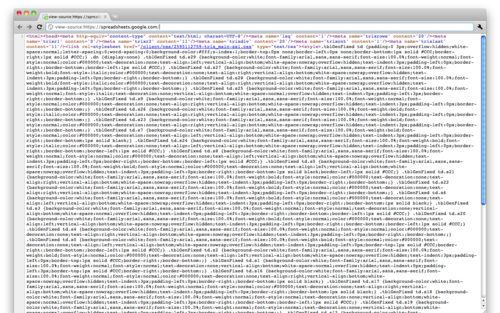 I got nuked by a massive, nasty-looking, single-line stylesheet.